Wow! What a guy Smokey was! I had no idea. 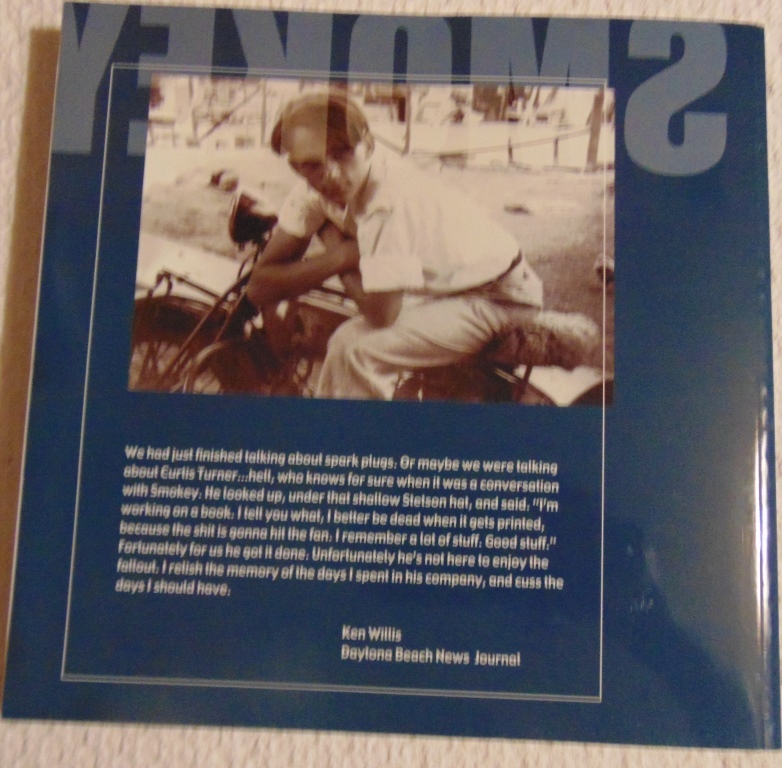 This is volume 1 of a 3 volume set. It is subtitled “My So Called Life”. And that is pretty much what you get. Smokey’s life story. No holds barred. Smokey has a pretty raw writing style that I would have to rate at least PG-13. He lived his life full throttle and it makes a fascinating story. You immediately get the sense that you are sitting at a table in a bar somewhere and Smokey is holding court. Someone (his wife) recorded it and wrote it all down. It is very real and totally fascinating. This is an autobiography, written late in Smokey’s life. He doesn’t seem to be very interested in polishing his image for posterity. He just tells it all. From his earliest childhood days until his passing. 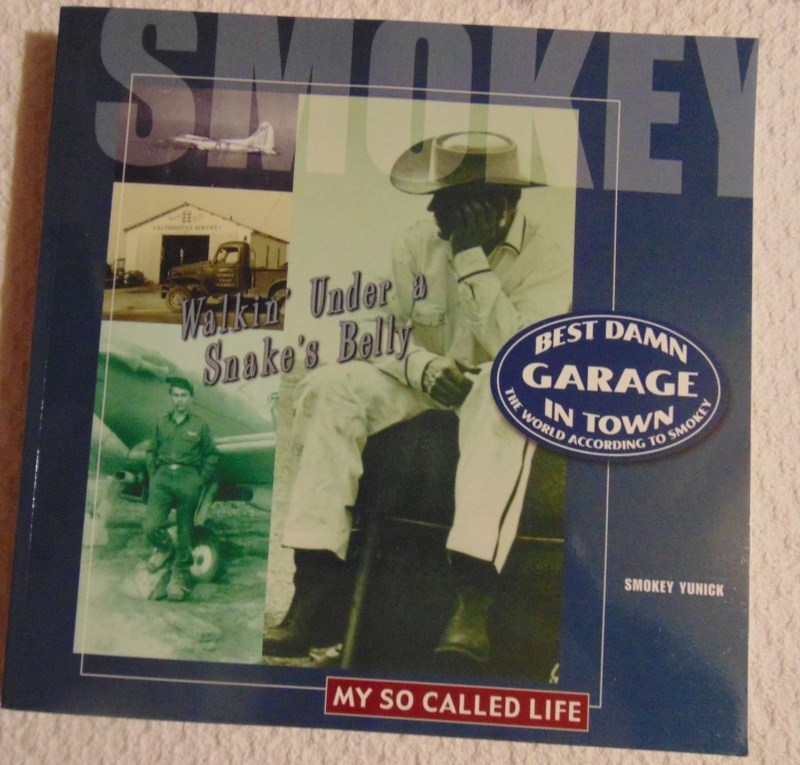 I always thought Smokey was just a racer and garage owner, hence the Best Damn Garage in Town moniker. But he did so much more. World War II. Wild animal importer. Pilot. Gold miner. Oil and gas wildcatter. Inventor. Lady killer. Animal lover. Philosopher. Story teller. This is a fascinating yarn. Be warned, it will take some work to get through all 3 volumes (which I haven’t yet) but you will be highly entertained.